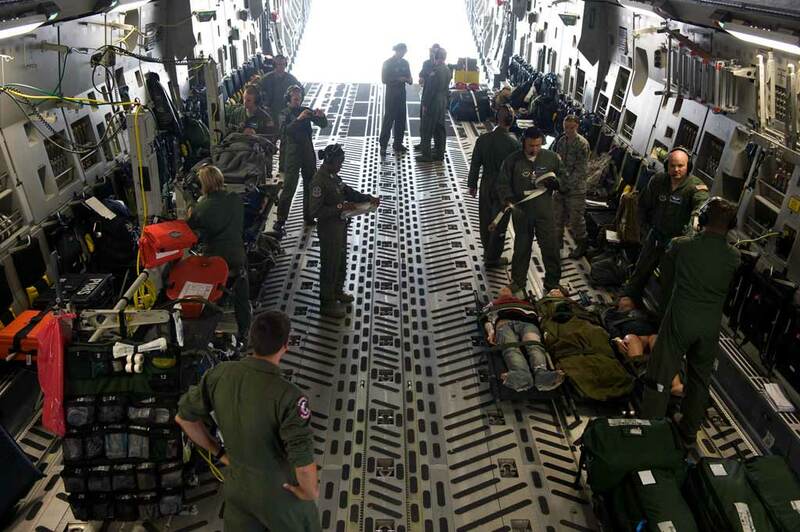 In this age of coalition warfare and continuous global deployments, nearly every nation’s military regularly needs at least some strategic airlift capability. 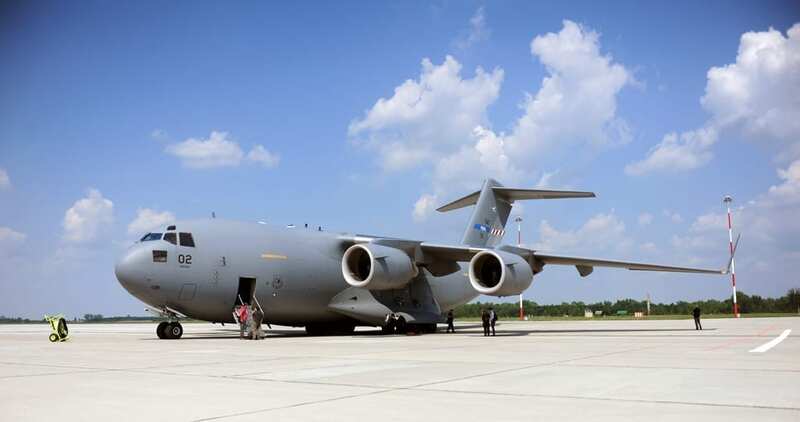 The problem, of course, is that buying heavy airlifters like the Boeing C-17 Globemaster III is an expensive proposition and usually ranks behind other acquisitions priorities. The obvious answer is outsourcing: Acquiring airlift capability without having to acquire the aircraft. Recognizing this, NATO has put together two very different initiatives, which it has made available to both its own members and also its friends. They present models for cooperation that are likely to be replicated in future efforts. In 2004 it was starting to become painfully obvious that the wars in Iraq and Afghanistan would not be ending anytime soon, and neither would the involvement of NATO or its partners. It was also starting to become obvious that the Airbus A400, the game-changing new tactical airlifter which so many participating nations had placed orders for, would probably not be ready in time to help in the war effort. An interim airlift solution would have to be found. Luckily a very big one called the Antonov An-124 was already waiting in the wings. In the years following the end of the Cold War, much of the former Soviet military’s strategic airlift fleet, including roughly two dozen giant An-124 transports, had found their way into the hands of commercial operators, who were making them available to any customer, civilian or military, that might require an oversized airlift capability. Their customer base soon included most NATO members. By then, nearly all of the An-124s were in the hands of two operators, Volga-Dnepr Airlines; a Russian company, and the Ukrainian Antonov Airlines. The two companies regularly partnered with each other on contracts, so it was obvious that the easiest thing would be to work out an arrangement with them. NATO SALIS contracts for a minimum of 2,000 flying hours annually. To meet their needs Ruslan keeps two An-124s on hand at Leipzig-Halle Airport for immediate use by consortium members, with another two available on six-days notice and another two on nine-days notice. The first contract ran for three years, and has been extended twice. The current contract covers operations for 2013-14 with the minimum flying hours raised to 2,450, to help cover the drawdown from Afghanistan. A NATO-led consortium was founded, called SALIS for Strategic Air Lift, Interim Solution. Initially it consisted of eighteen member nations, but soon it whittled itself down to fifteen: Canada, Belgium, the Czech Republic, France, Germany, Greece, Hungary, Luxembourg, Norway, Poland, Slovakia, Slovenia, and the United Kingdom, plus non-NATO members Sweden and Finland. 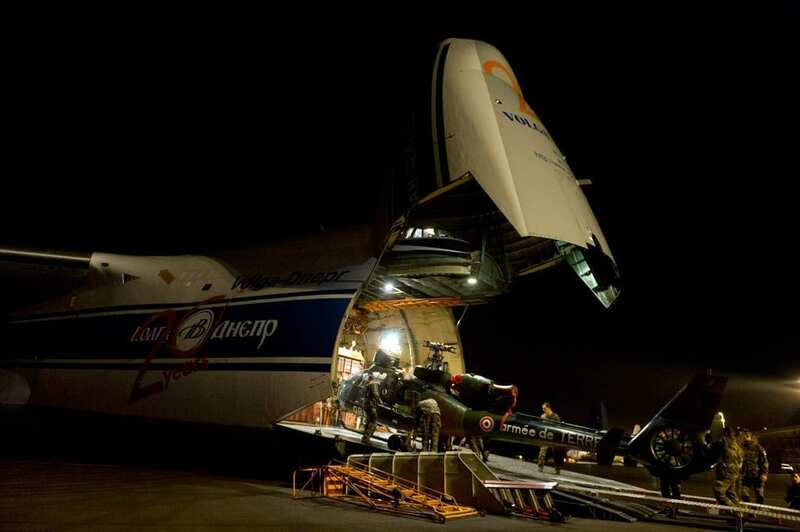 At NATO’s behest, Antonov and Volga-Dnepr formed their own consortium, Ruslan SALIS. The arrangement that was negotiated is fairly simple. NATO SALIS contracts for a minimum of 2,000 flying hours annually. 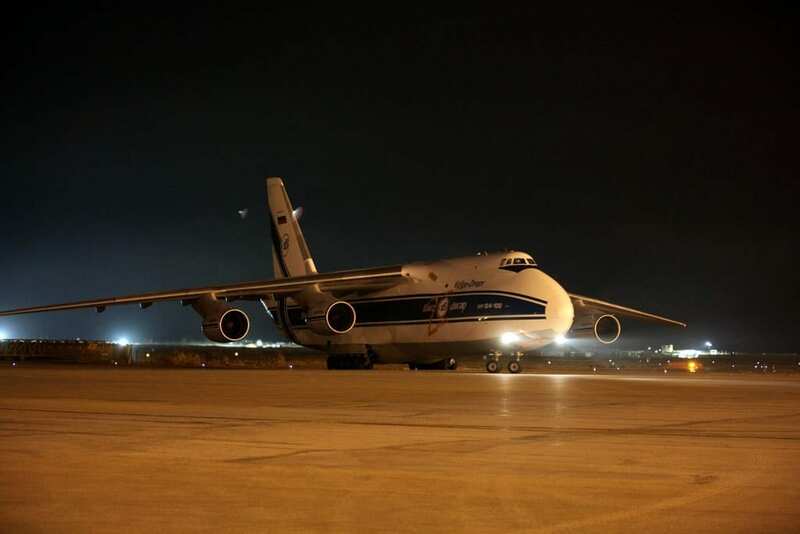 To meet their needs, Ruslan keeps two An-124s on hand at Leipzig-Halle Airport for immediate use by consortium members, with another two available on six-days notice and another two on nine-days notice. The first contract ran for three years, and has been extended twice. The current contract covers operations for 2013-14 with the minimum flying hours raised to 2,450, to help cover the drawdown from Afghanistan. Supposedly the first Airbus A400 will be delivered to the French Air Force in time for Bastille Day 2013, after which they will be supplied to their customers at the rate of about thirty per year. Supposedly, this will also spell the eventual end of the NATO SALIS Program, but like many things in life, that remains to be seen. If the NATO SALIS arrangement can be characterized by its relative straight-up simplicity, HAW, the NATO-sponsored, but independent Heavy Air Wing, is, by comparison, quite complex. Like SALIS, HAW operates as a multinational consortium providing strategic airlift capability to its members, but instead of using their pooled resources to charter strategic airlift capability from an outside vendor, as SALIS does, HAW used it to purchase their own fleet of three Boeing C-17s. Unlike SALIS, HAW is a multinational military organization existing outside the NATO structure. It is the operational arm of Strategic Airlift Capability (SAC), a twelve-nation consortium consisting of ten NATO members: Bulgaria, Hungary, Estonia, Lithuania, the Netherlands, Poland, Romania, Slovenia, the United States and Norway and two who are not: Finland and Sweden. One official at HAW suggested that it would be just as accurate to describe the membership roster as ten EU members and two that aren’t (the U.S. and Norway.) The real point to HAW is that, in addition to providing airlift capability, HAW is all about building skills and teamwork among friendly nations bound together more by a common vision than by the rules and constraints of formal alliances. 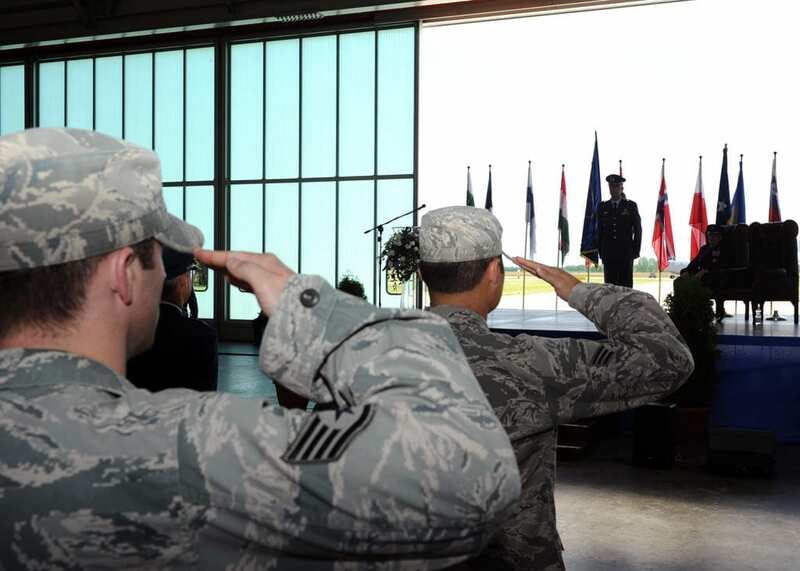 HAW is based at Papa Airbase in Hungary and is composed of 135 military and civilian personnel from the member nations, along with contractor support crews supplied by Boeing. Member nations are accorded flight hours in proportion to their contributions, both financial and in terms of participating personnel. HAW’s command structure is extremely flexible. Even though everyone has been trained to work the same way, each national contingent has its own ways of doing things, which HAW’s own body of rules and procedures don’t always cover. But as they keep finding out, there are work-arounds to nearly every problem. Disciplinary issues are relatively non-existent, but when they do occur, they generally are dealt with within each national contingent’s own command structure. Because so many different cultures are involved, friction and misunderstandings and even inadvertent insults are inevitable. 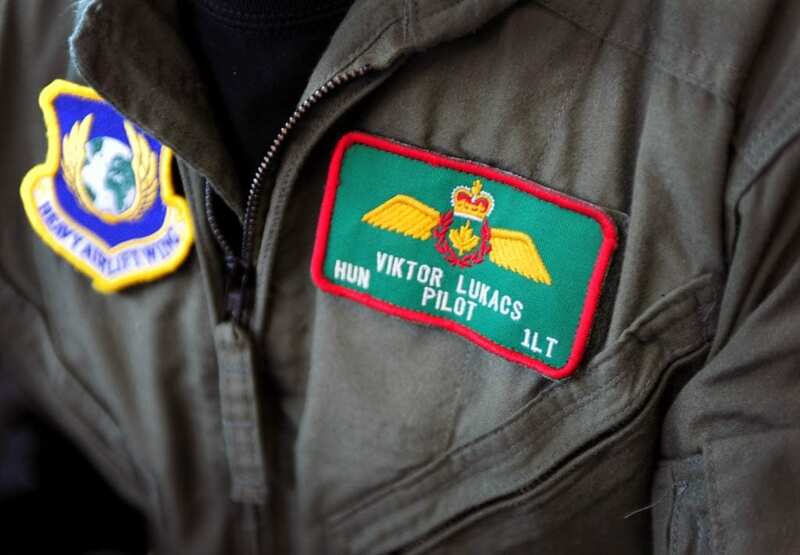 HAW’s current commander, Royal Netherlands Air Force Col. Frank Rombouts, was recently quoted saying that the key to dealing with it is to see themselves as a sort of “Thirteenth Nation” and, in a way, embrace it. Since being activated in July 2009, HAW has flown more than 600 missions, totaling more than 10,000 flight hours. The three C-17s have carried more than 65 million pounds of cargo and more than 38,000 passengers. As might be expected, most of the missions have been in support of ISAF operations in Afghanistan, but others have been to Haiti, Libya, Mali and Pakistan. A HAW C-17 was flown to Russia to repatriate the bodies of Polish government officials who died in the air crash near Smolensk. Others performed airdrop missions over Africa. During the nearly four years since its establishment, the Heavy Air Wing, its aircrews, logistics and command and control teams have all been in continual certification training in the core competencies required for the full spectrum of air-land and air-drop mission capabilities. These include air refueling, single-ship air drop, assault landings, aero-medical evacuations, and all-weather and night operations. In November 2012, HAW was declared to have attained Full Operational Capability, which means HAW can now sustain 3,165 flight hours annually. By all indications the SAC Heavy Air Wing is a very successful enterprise, and it shows no sign of going away following the drawdown from Afghanistan. The current plans are to build giant hangars for the C-17s, rather than continue allowing the aircraft to brave the winter as they’ve been doing for the last few years. The big question for HAW isn’t if it will survive, but whether it is actually a model for the future. The U.S. Air Force has been sending up trial balloons of late hinting that with the way the security situation is evolving in the Eastern Hemisphere these days, America’s Asian allies and friends might want to start thinking of setting up similar airlift consortia. Up to now, most of that region’s friendly powers have done nothing in this regard other than buying C-130s. It might be time for going in on a few C-17s.